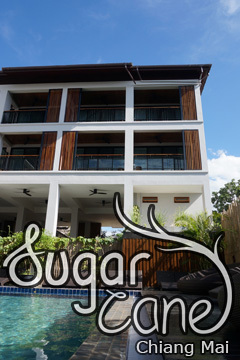 B2 Satitham Hotel - Wat Jedyod - Huay Kaew, Chiang Mai, Thailand - Great discounted rates! 7.2 out of 10 based on 688 verified user reviews via Agoda. B2 Satitham Hotel - Wat Jedyod is conveniently located in the popular Huay Kaew area. The hotel has everything you need for a comfortable stay. Free Wi-Fi in all rooms, 24-hour security, 24-hour front desk, Wi-Fi in public areas, car park are there for guest's enjoyment. Some of the well-appointed guestrooms feature television LCD plasma screen, complimentary instant coffee, slippers, towels, internet access ?ÛÒ wireless (complimentary). The hotel offers various recreational opportunities. B2 Satitham Hotel - Wat Jedyod is an excellent choice from which to explore Chiang Mai or to simply relax and rejuvenate. B2 Satitham Hotel - Wat Jedyod - Chiang Mai classifies itself as a 2.5 star hotel.